As debate simmers around the opening of super Wawas in Conshohocken and elsewhere, it seems there’s no dispute about the latest reported Wawa opening in Center City, with the first signs of a store headed right near Independence Mall. The location is slated for the first floor of the Public Ledger building at 6th and Chestnut Streets, according to Naked Philly, and replaces the long-running tourist shop that was there until sometime last year. The new store, not unlike the Wawa at Broad and Walnut streets that opened in 2015, will likely create an optimum tourist experience for those visitors set on seeing the city’s most conspicuous of attractions. Plus, it’s not exactly new territory for the chain, considering Wawa Hoagie Day effectively takes over Independence Mall every year. Though the reported location is just the latest in a growth of Wawa stores in the city, it's still a relatively new concept. Up until a few years ago, Wawa storefronts were dwindling in Center City as the focus shifted toward larger, sprawling suburban locations with gas stations. 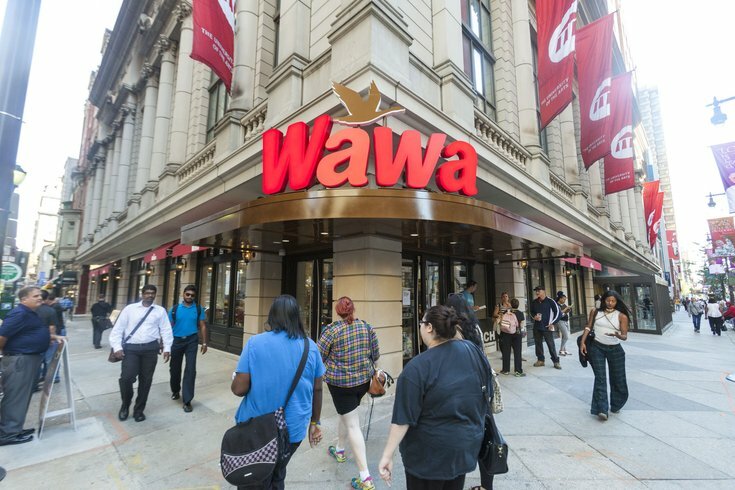 Not long after the flagship Wawa store opened on Broad Street to coincide with the Papal Visit a couple years ago, though, plans for subsequent city locations were announced. Late last year Wawa created its largest urban location to date at 19th & Market Streets and, since then, plans for multiple storefronts – including one as part of the Market East developments – have been unveiled.